the fifth series designed by japanese studio nendo for elecom, ‘jaguchi’ (‘faucet’, or ‘tap’) is a line of stands for smartphones and tablets. 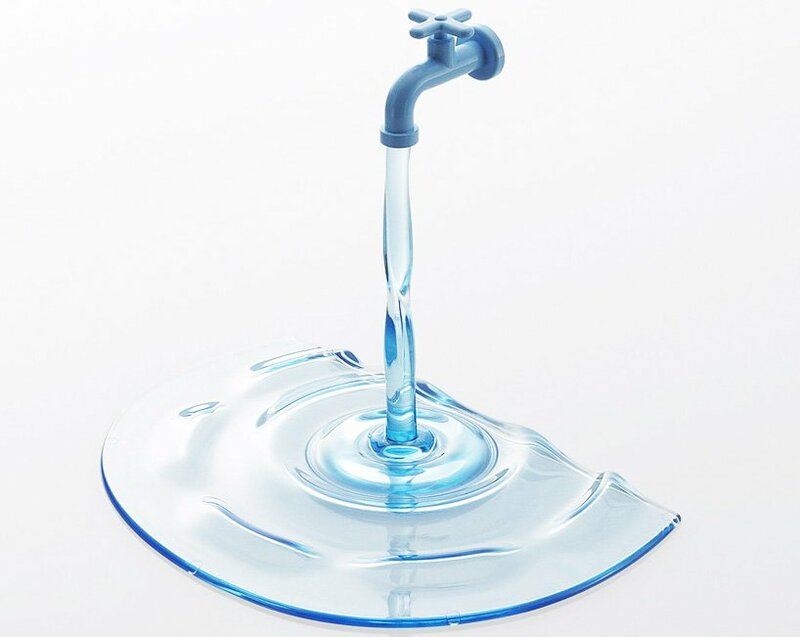 composed of polycarbonate plastic with ABS faucet parts, the stands take the appearance of an old-fashioned faucet from which water is streaming into a small puddle. the pieces are produced in clear, blue, black, and white. when you have a name in the industry, any idea in your sketchbook might get realized. you have to be aware of that responsibility! i expect more from nendo…. what a waste of energy and materials! I find it quite amusing actually. Is there really so much need to have a stand for a smart phone? These are HAND HELD devices. Why waste the energy and resources on novelty? I wouldn’t use it for my ipad, i might just put it on my desk, it is pretty cool! water should flow FROM the ipad, here the tap is reversed. Would make a good tap display! I wonder what’s the design brief ? Expected more from nendo. What boring people here! You are wasting good air by shouting and being negative! I find this hilarious and stylish! Where do I buy one? One poster is correct, though, I’d rather have the faucet coming FROM the device!